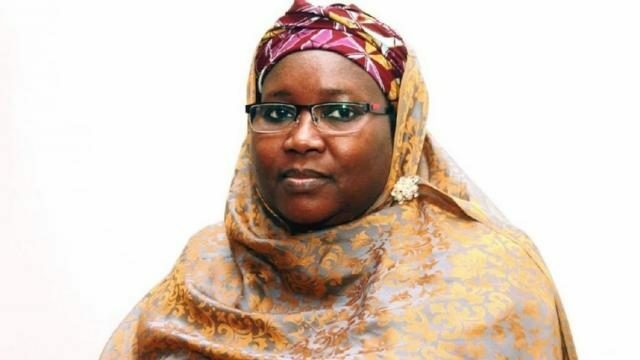 The Zakari family of Kazaure in Jigawa State has denied any blood relationship between President Muhammadu Buhari and their daughter, Hajia Amina Zakari, a national commissioner with the Independent National Commission, INEC and begged that she be left out of the political nonsense. The family in a statement issued on Monday said it was also not aware of Buhari pressing buttons to earn her an appointment by the immediate past administration. Reacting in a statement, the family said: “Contrary to the widespread belief, Amina Zakari is not a blood relation of President Muhammadu Buhari. Her mother was from Daura (born and bred in Kano) and she was not Buhari’s sister. It’s also true that Buhari’s sister was once married into the family. The union was short lived and did not produce a child. This all happened well before Mrs. Zakari was born. “Furthermore, Alhaji Tanko Yakasai, the veteran Kano politician who first made the claim that she was born by Buhari’s sister has since recanted. Those who have held on to the claim are therefore either unaware of his recantation or they are simply incapable of letting go their prejudices in the face of facts to the contrary. Mrs. Zakari has challenged anyone with evidence against her of any misdeed to come forth and prove their case. She has now served under 3 different President’s in various capacities and has served her nation in a forthright and honest manner with the utmost humility and much sacrifice It is rather unfortunate that she has now been thrown into the limelight in a vicious campaign to reduce her accomplishments to purported blood relationship while ignoring her vast and accomplished resume. “Mrs. Zakari attended the acclaimed Queens College on merit being first from Kano State in the Common Entrance in her graduating year from primary school. Mrs. Zakari also was one of the top students in her graduating Pharmacy B.Sc class in Ahmadu Bello University. She spent time raising a family giving birth to 5 Children while her late husband took roles of increasing capacity in UBA and Union Bank. “She worked as a consultant for the Petroleum (Special) Trust Fund but it is an absolute falsehood that she was appointed to that role by President Buhari. She started as a sub-consultant of Afri Projects Consortium and was eventually promoted to the Health portfolio for the Consortium after the departure of the late Dr. Aminu Safana (whom she worked for) when he joined partisan politics in 1999. She also served as Executive Secretary for Health in the FCT Administration under the Obasanjo administration’s second term. “She is one of the most accomplished election experts in Nigeria with 2 elections under her belt (2011,2015). To our knowledge, President Buhari didn’t even attend the Council of States meeting where her nomination for INEC was presented by President Goodluck Ebele Jonathan.